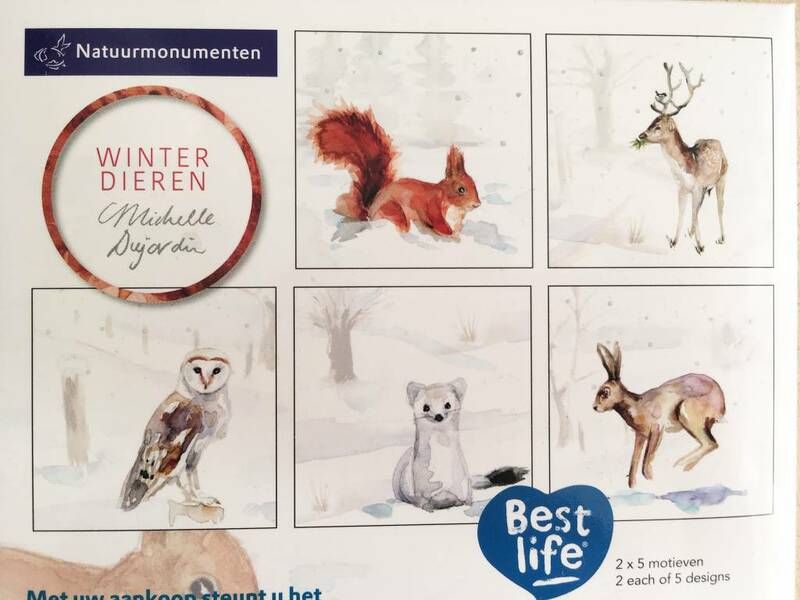 Greeting cards with illustrations of Dutch animals in winter by Michelle Dujardin. 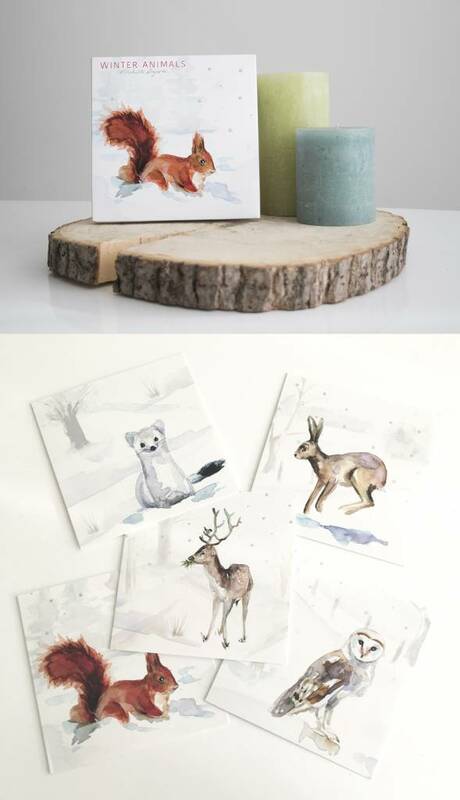 Each set consists if 10 greeting cards 10 with 5 different animals. 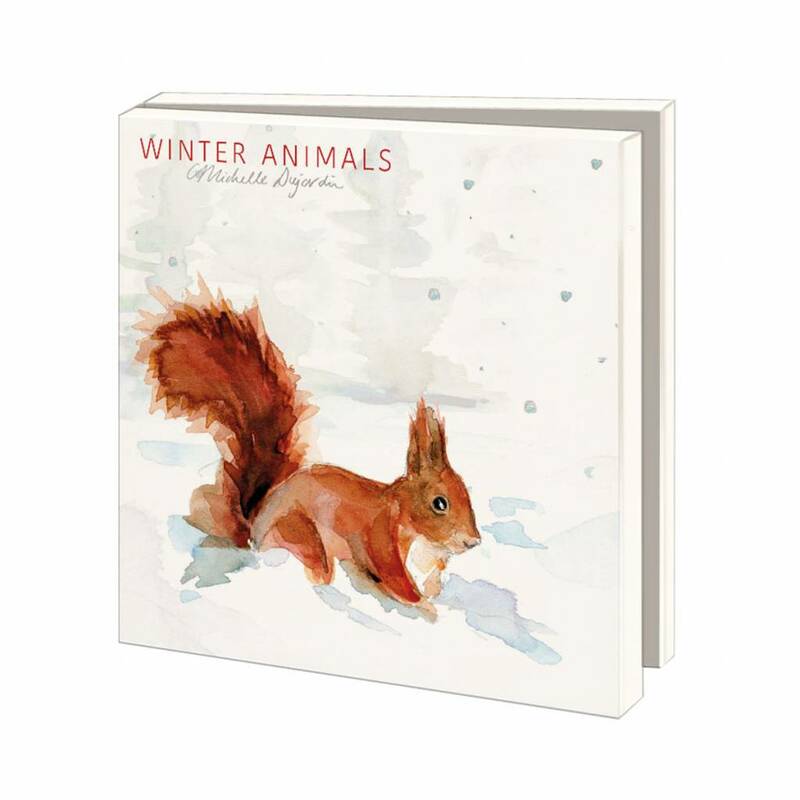 The set contains a squirrel, a stoat/ermine, a hare, a dear and a barn-owl. Please note! 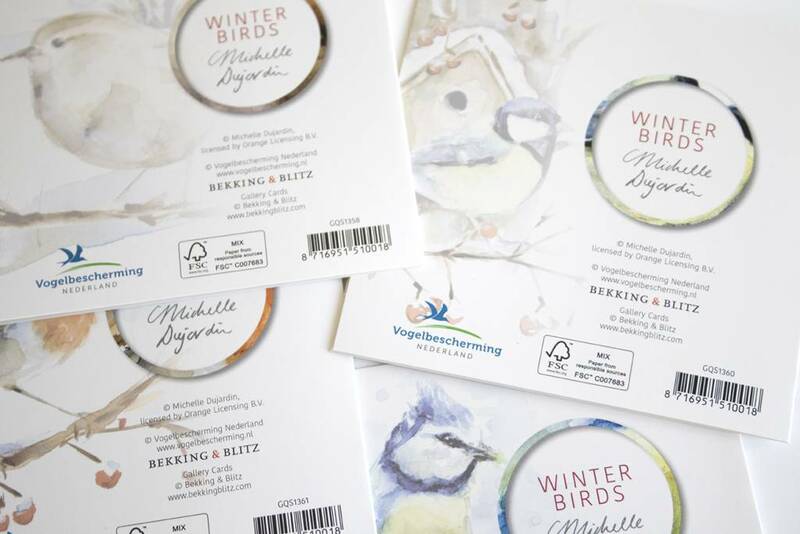 There are two versions of the cards available: with and without the Dutch National Trust logo. 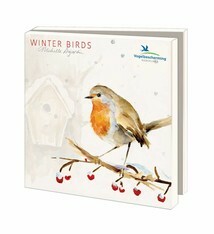 The greetingscards are the same except for the logo on the back. You can select your preference in the menu. 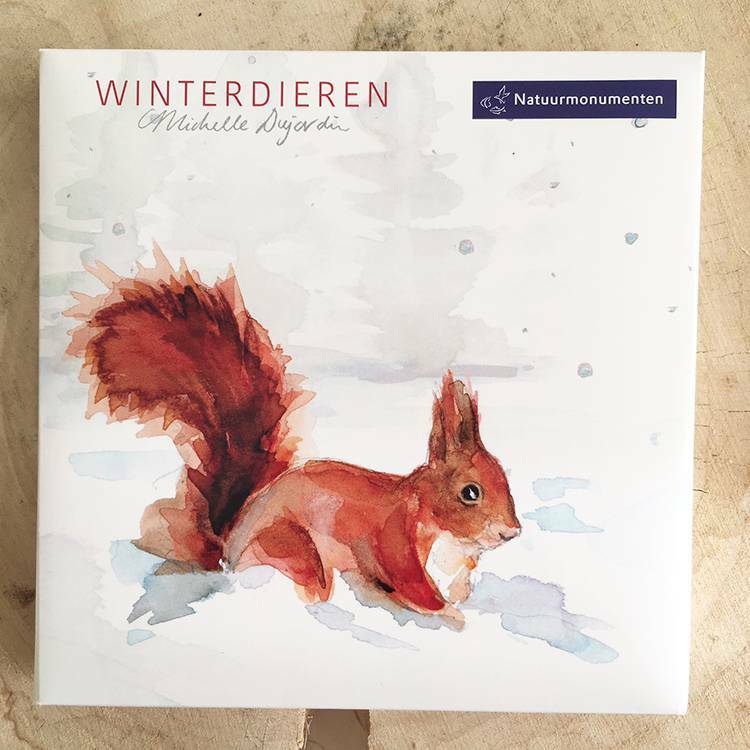 Both versions with will support the Dutch National Trust for the protection of nature. 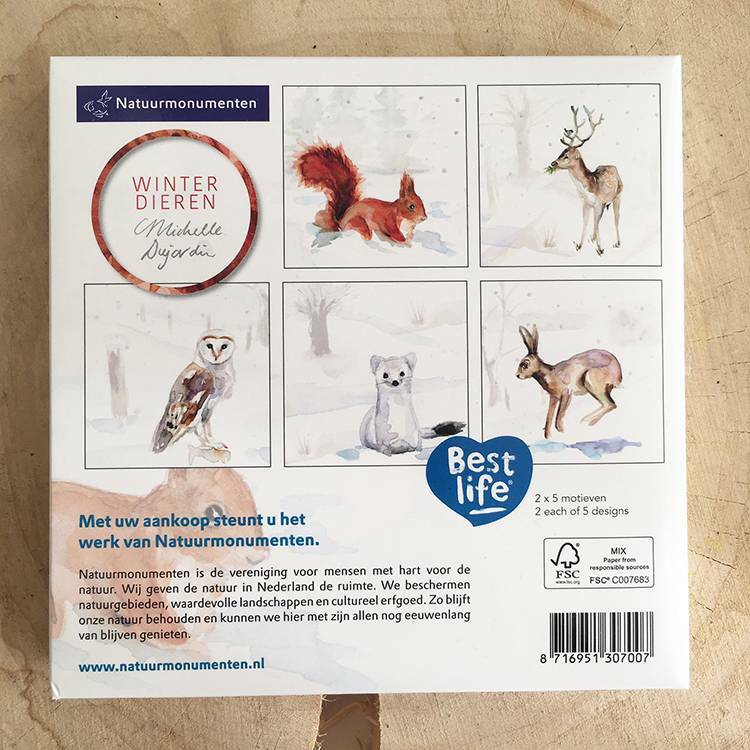 Each wallet contains 10 winter greeting-card with Dutch forest animals. 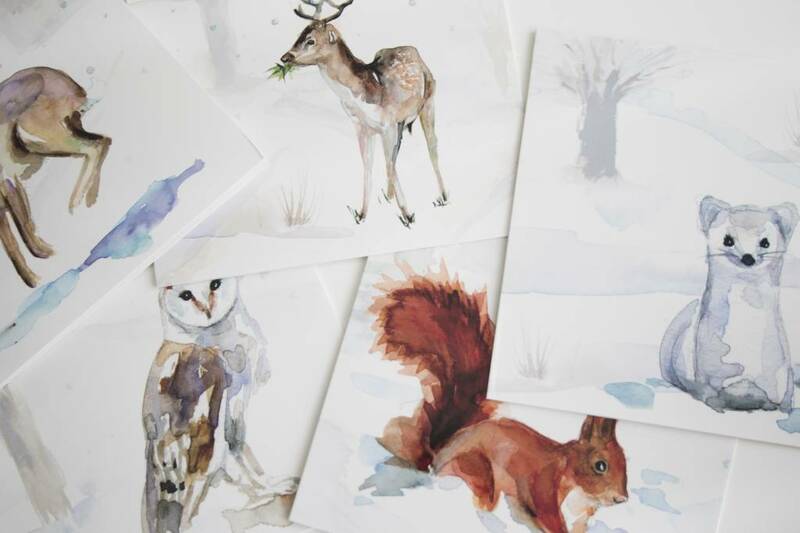 Each set contains 5 different illustrations of a barn-owl, a squirrel, a dear, a hare and a stoat/ermine. 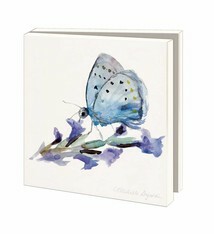 Each card is blank on the inside so it can be used on many different occasions. 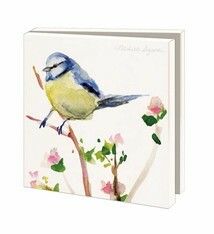 The back of the card is printed (see photo's). The wallet comes with ten envelopes.